Our Company is a Colombian Wholesale Coffee Supplier. 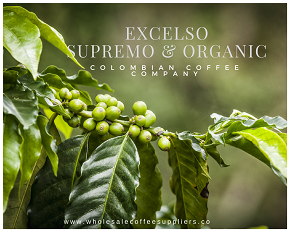 We specialize in the highest-quality toasted 100% Arabica Excelso Supremo and Organic Coffee. Specialty Coffee. Only the finest. We are a Colombian Coffee Export Company. 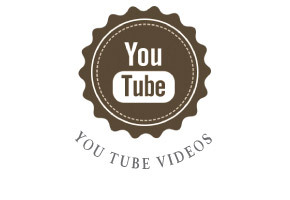 As a Coffee Company and Wholesale Coffee Suppliers, we recommend this excellent video which describes the varieties of coffee and their origin. A coffee specialist talks about the process of growing, roasting and labeling. 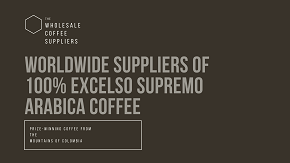 Now the differences between a drip or expreso when looking for a whoesale coffee supplier. Before looking for a a good coffee supplier, please listen to a biochemist talking about coffee. Excellent video for beginners. We are Coffee Wholesalers of Arabica and Organic Coffee. See why it is the best coffee. This video is useful to watch when contacting a wholesale coffee supplier for it shows how coffee is made. Our wholesale coffee is handpicked which is what makes it unique. This video shows the typical journey of a coffee bean, from birth to the hands of wholesale coffee suppliers, then to the coffee cup anywhere in the world. As wholesale sellers of organic coffee as well, we would like you to watch this video which explains how organic coffee is grown. This is an interesting video showing how a person can make coffee at home starting with coffee cherries. In minute 11 you can hear the coffee popping. What are the two most common coffees sold in the world? 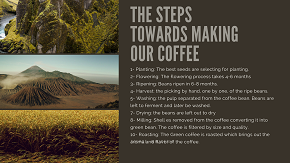 What are the steps to making coffee? My wholesale coffee supplier is from the Coffee Traingle. What is that? What is the difference between Arabica and Robusta? Why is it more difficult to be wholesale coffee suppliers of coffee from the mountains? What methods are there for extracting the coffee beans from the cherries? What difference in taste can you expect in water-washed coffee beans and naturally extracted coffee beans? What comes after the drying process? What is the threshing process? What difference is there between a wholesale supplier who supplies coffee from low altitudes versus high altitudes? What are raw or green beans? What is a good way to preserve coffee fresh longer? What precautions should we buyers take when buying coffee? As a very general and basic outline, we could say that the two most common coffees are the Arabica and the Robusta. Arabica is higher quality cofee grown in the montains. Robusta is more common, cheaper and easier to grow in plain ground. Depending on the type and quality of coffee, there are variations in the steps, with more or less care and love implmented. The arabica coffee is grown with more care, the selection process of these beans is done by hand, one by one, whereas the robusta beans can be picked with machines and with less selection and care. My wholesale coffee supplier is from the "Coffee Triangle". What is that and what is the Colombian Coffee Region? It is the region in Colombia where it is said that the best coffee of the world is grown. The atmosphere, temeperature and humidity is ideal for the growth of quality coffee. The best coffee, the premiums or supremos, in the world is grown in the mountain hills, the altitudes normally between 700 and 2000 meters above sea level. 75% of the coffee beans are Arabica in the world and 25% are robusta.  The Arabica coffee beans are large and the Robusta coffee beans are small.  The Arabica coffee beans are extended in shape and the Robusta coffee beans are round. 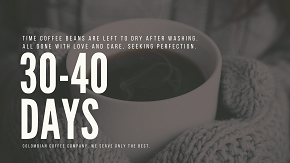  The Arabica coffee beans have curved creases and the Robusta coffee straight creases.  The Arabica is acidic in taste and the Robusta coffee has bitter taste. 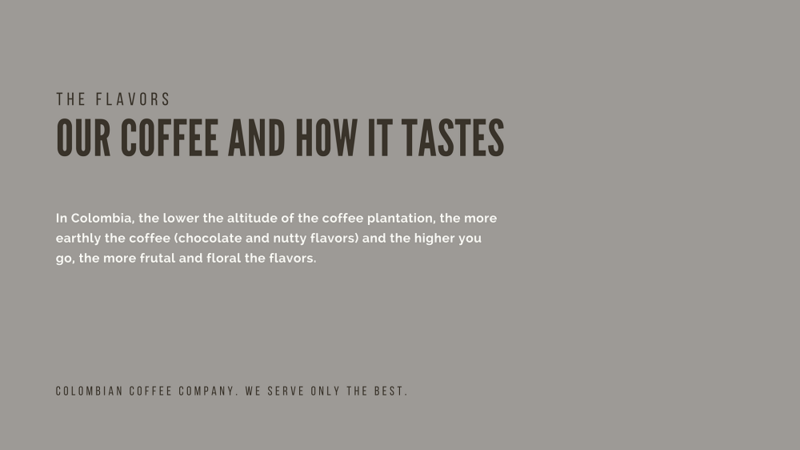  The taste of the Robusta coffee is not as refined as the Arabica.  Robusta coffee gives more cream than the Arabica coffee, hence better for the instant coffees.  Robusta coffee has more caffeine compared to the Arabica coffee: 2.7% caffeine compared to 1.5%.  The Arabica plant grows between 2.5 to 4.5 m compared to the Robusta plant which can reach a height of 4.5 to 6 m.
 Arabica coffee beans give off more of a sweet smell similar to blueberries before roasting whilst Robusta beans smell more nutty before roasting.  Robusta coffee beans are grown primarily in the African continent and Indonesia while Arabica coffee beans grow in the African continent, Papua New Guinea and especially in South America.  Of the two types, Robusta is more common given that it is a cheaper coffee.  Arabica is higher priced- often double the price of Robusta. It comes from a cherry. Inside the cherry are two coffee beans. It does not grow on a tree but on a coffee plant. First a white flower comes out, then a cherry. Coffee beans are like the pit of a cherry. Coffee from the mountains is more difficult to obtain. During the rainy season is when the coffee farmers harvest the most. The rain, combined with the slopes of the mountains where the Premium coffee plantations are, make it a very difficult business. Most plantations are small, 2 to 3 hectares for it is practically imposible to handpick more quantities per family. This makes it a more expensive coffee too. How is the picking and selection process for wholesale premium coffee beans? The first part of the process is the selection of the cherries. Special care is given to ensure that they are the same color and ripeness but not overripe. This is the most important part of the selection process and what defines whether the coffee is going to be a regular or a supremo coffee. Coffee is usually hand-picked. There are two methods: “to strip-pick” is to get all the berries of that particular strip, without differentiating the ripe and raw beans. This gives a lower quality coffee. The other method is to pick selectively, bean by bean, beans that have the same ripeness. What methods are there for extracting the coffee beans from the coffee cherries? There are two methods. The first is by using water and the other is by natural method. The first method is the one usually used for supremo coffee. When using water, the pulp (that is, the fruit and the skin) are washed off. Then the coffee bean is put to dry. In the second method, the cherries are directly put out to dry after being picked and only when they are dry is the skin (parchment) removed from the coffee beans. What difference in taste can you find in water-washed coffee beans and naturally-extracted coffee beans? When the washing method is used, the pulp is removed and the coffee bean is put to dry. The taste afterwards is that of the coffee pit. When using the natural method, the coffee cherry is put out to dry as is. It ferments and the bacteria metobolizes the sugar which influences the taste of the bean. There is a sweet taste that overlaps the taste of the coffee beans. So, if you are looking for a sweeter and less intense coffee taste, the natural is probably a better choice. Once the coffee beans are dry, they have to go through a threshing process where the outer skin (the parchment) of the seed is removed from the seed. Once this has been done, we get the green bean and the coffee beans can be roasted. Before, the farmers used to separate the skin of the bean from the bean one by one. As you can imagine, this took forever. What used to take two hours now takes 10 minutes with the machines. If you need to store the coffee, it is better to store it with the skin (the parchment). What difference is there between a wholesale coffee supplier who supplies coffee from low altitudes versus high altitudes? In low altitudes, there is more oxygen and carbon dioxide. Coffee plants grow more quickly and there is, therefore, more production. Starbucks, for example, grows its beans in Indonesia, in low altitudes. They need lots of product and quick. Coffee plants, on the other hand, have more difficulty growing in mountains, in high altitudes, with little oxygen. Why? Coffee plants cannot “breathe” without oxygen. Breathing for plants is equivalent to making energy. Making enery without oxygen is called anaerobic respiration, which makes energy by making lactate, which es then broken down to lactic acid. This gives a wonderful flavor to the coffee. This is the world-known supremo coffee! What are green or raw beans? Right after the threshing and before the roast, we have what we call the raw or green coffee beans, which are a bluish-green color. If not roasted and kept in this state, every month they get woodier and woodier and lose their strength. Why does grounded coffee get old before roasted coffee? When grounded, more coffee particules are in contact with the air and therfore will lose freshness sooner. To maintain green coffee fresh, for example for export, the ideal situation is to vaccum-seal and freeze it. This way, we can preserve it for months. Once roasted, the oils of the coffee beans are brought to the top and quickly start becoming rancid. The ideal times are 3-4 weeks tops from roasting. And once ground, it can be considered fresh for a few days, reason why it is never a good idea to buy grounded coffee but to buy it roasted and to grind before having it. What precautions should we take when buying coffee? Do not buy coffee per kilo from open sacks. Coffee beans in open sacks are in contact with heat, light, moisture and air, and therfore get old sooner. Also try to buy coffee from well-sealed and thick packages. The ideal packages are those with one-way valve. When roasted, the coffee beans expell gases. With these one-way valeve bags, the gases leave (that way we avoid bags exploding as used to happen before) but air does not enter, thus maintaining the coffee bean fresh for longer periods of time. Watch out for packages in see-through or thin paper bags or paper-bags with windows. When we ship international, we take more precautions than our competitors for we are very aware of the importance of preserving fresh coffee. Often coffee seller supply the best-quality coffee but because of inferior packaging, this quality does not reach destination. 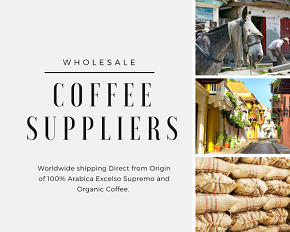 What better than to buy wholesale Colombian coffee from the source? 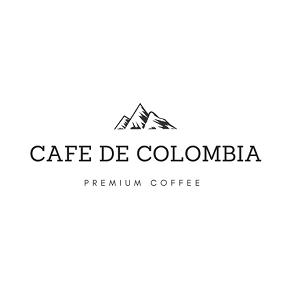 We are a Colombian Coffee Company, Coffee Exporters of Premium Coffee. We supply coffee wholesale worldwide. As Wholesale Coffee suppliers in Colombia, we have managed, over the years, to obtain the best price possible for the highest-quality coffee by eliminating as many middle-men as possible. We work directly with the farms. We control the quality of the coffee we supply in all its stages given that we are suppliers of only the highest grade of coffee: 100% Arabica Excelso Supremo Coffee as also a very difficult-to-get, exclusive and unique Organic Coffee from the most remote tribe in Colombia. We are a Coffee Company that sells important wholesale quantities to Russia, Korea and North America. Any questions, please email us. Where is the coffee you sell wholesale from? We are Colombian Coffee Suppliers and Colombian Coffee Exporters. We are coffee specialists, generations of families dedicated to farming coffee. We work directly with farms instead of cooperatives. This allows us to not have many middlemen which would increase selling price. Our customers enjoy the benefit of having the best-quality Arabica coffee at the lowest price. 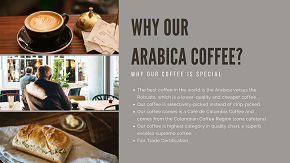 Most of our Arabica coffee is from the Cauca region. Of the 5 different coffee regions, Cauca is the most unique setting, located at the foot of three mountain ranges and 5 Colombian rivers are born. We are South American Wholesale Coffee Suppliers with EU prizes and certifications. What are the characteristics of your wholesale Arabica coffee? Our coffee has won European awards and is considered a very unique coffee. Silky and Sweet with Fruity Notes and Strong Caramel Scent. Your wholesale coffee is a "Café de Colombia" coffee . What is that? Our coffee has the seal of "Café de Colombia". The "Café de Colombia" is a coffee that has to have gone through strict export regulations in order to be approved for export: analysis of sensory quality, granulometry and humidity in accordance with the existing regulations in Colombia. 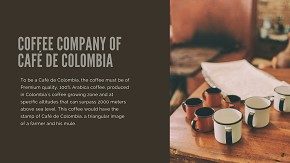 A Colombian Coffee can only be exported if it meets all the minimum existing quality parameters, which are checked over at all the ports where the coffee is exported in Colombia. What is the maximum wholesale coffee quantity you can supply? We have exclusive deals with hundreds of the best farms in Colombia which total 1M kilos. Please note that occasionally we have waiting lists. We have to attend to our regular clients first and then attend to the waiting list in order of arrival/date of query. We are sorry for any inconveniences this can occassion. We are very strict with the quality of coffee we wholesale and this very high quality is quite limited. What ports do you ship your coffee from? The main port in Colombia is Cartagena but we can also ship the coffee from whichever other port is necessary. 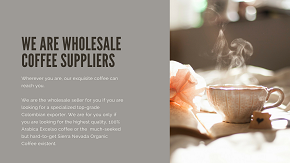 What coffees do you as wholesale suppliers specialize in? Excelso Supremo: This is the highest category. This is a 100% Colombian Arabica coffee grown in the mountains, at an altitude of 1700 masl. 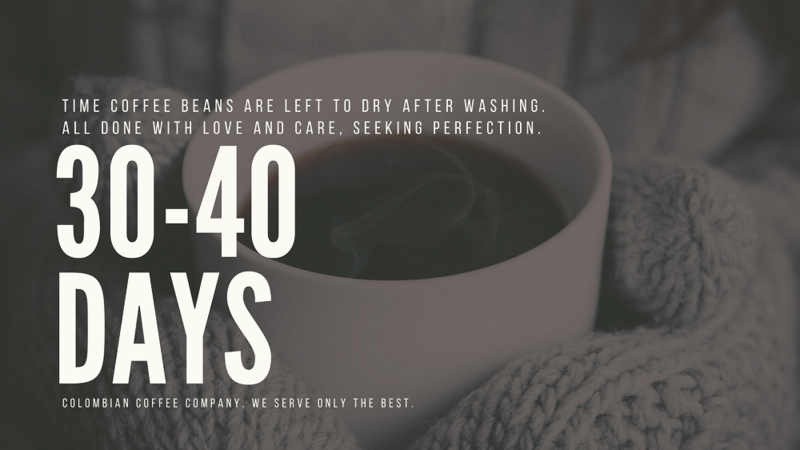 It is a handselected, water-washed coffee that we sell wholesale worldwide. 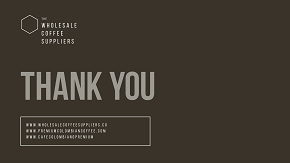 We are award-winning Wholesale Coffee Suppliers (*please check award section). 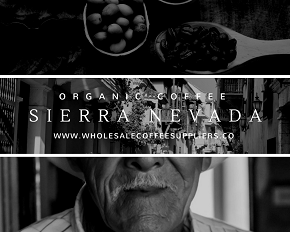 Organic Coffee: We have been granted one of the few exclusivities granted, by one of the best organic coffee tribes of the world, the Sierra Nevada Tribe. Where is your coffee company located? We are located in Valle del Cauca (Sevilla) Colombia with offices in Bogotá and Madrid (Spain). Next step is the positive mode where the nutrients of the gel are pushed deep into the skin giving it a healthier aspect. Where is your wholesale coffee company from? We are a Colombian Coffee Company with Spanish partners. We are Colombian Coffee Exporters. Our Registered Company Number is NIT 90824532-8. We are more laid back in Colombia, but our clients praise our European partners for their speed and efficiency! They oversee the overall business and manage the details. We manage the quality of the coffee, which is what we know and love the most. What certifications does your wholesale coffee have? 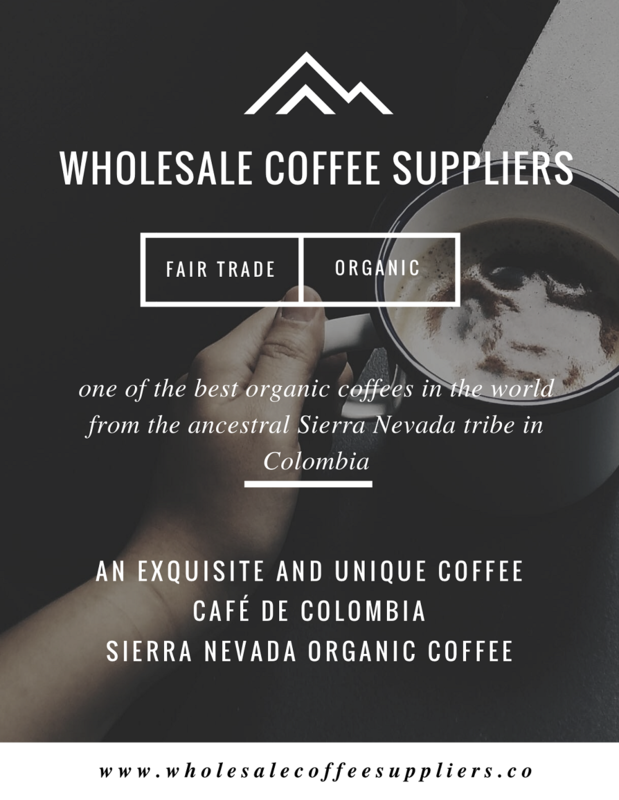 Are you certified wholesale coffee suppliers? What is the minimum purchase quantity for you to sell wholesale to us? To buy wholesale, the minimum quantity is 100 kilos. We can package the coffee as you demand. Please note that our prices do not include shipping or personalized packaging costs. Where is your organic coffee from? Our premium Coffee is the highly select world-reknown Sierra Nevada Coffee. Sierra Nevada is located in Northern Colombia and is one of the world's most unique regions, on a 5,800 meter high mountain and 42km from the seashore. UNESCO declared it a Biosphere Reserve and World Heritage Site in 1979. Grown under the shade of native forests, Sierra Nevada Coffee is an intense coffee with notes of hazelnut and dark chocolate. Indigenous coffee growers, mainly from ethnicities such as Kogui, Arhuaca and Wiwa, adopted the coffee growing culture according to their beliefs. They grow the coffee with organic materials and with a profound respect for mother earth. Their unique coffee is full of flavor, love and spirituality. The process includes rituales where they show their gratitude through rituals that help fertilize their fruits with positive energy. This pyramidal shape mountain contains all thermal floors and the different ecosystems that make up the rainforest, the forest, and the Andean highlands. Its closeness to the sea creates a unique microclimate with higher relative humidity, which provides coffee its greater intensity, low acidity and good body. Unlike the rest of Colombia where the harvest is all-year round, the Sierra Nevada organic coffee is harvested only once a year, one of the reasons for its limited edition quality. This very exotic and unique organic coffee is supplied in very limited quantities and is a very sought-after coffee. We are one of the very few suppliers authorized to trade this coffee. As wholesale coffee suppliers, what does your company use to preserve green or raw been fresh for longer? To maintain green coffee fresh, for example for export, the ideal situation is to vaccum-seal and freeze it. This way, we can preserve it for months. 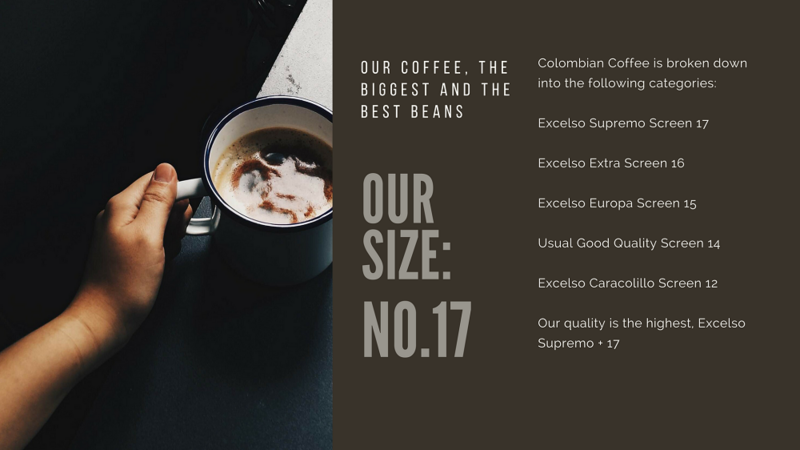 We use the highest quality existant for our highest-quality premium coffee deserves only the best, including the tiniest details as can be the quality of the valve! 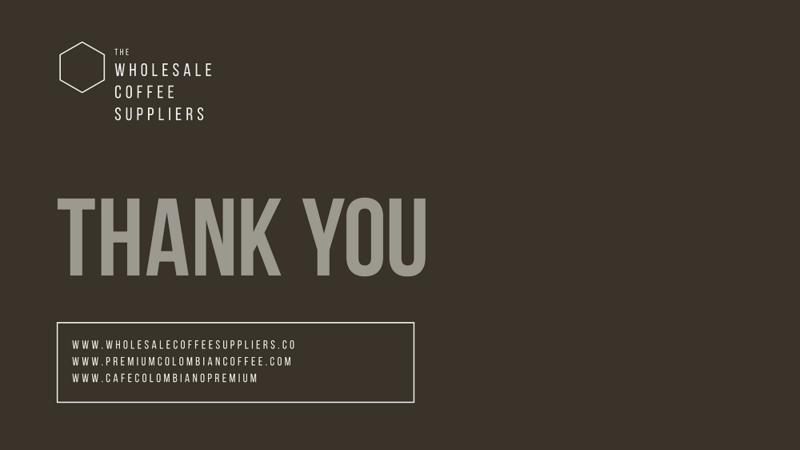 You are wholesalers of specialty coffee. What is that? You have regular and specialty coffee. Specialty coffee is called that of finely selected coffee, only the best. That is less tan 10% of existing coffee. Ours is Specialty Coffee. What are the requirements for a Colombian coffee company to be able to export its coffee? Analysis of sensory quality, granulometry and humidity in accordance with the existing regulations in Colombia. 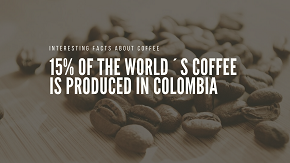 A Colombian Coffee can only be exported if it meets all the minimum existing quality parameters, which are checked over at all the ports where the coffee is exported in Colombia. Organic coffee is produced without the use of chemical substances (pesticides, herbicides, additives). Organic coffee sales are growing steadily. In the USA, organic coffee accounts for 30% of total organice beverage consumption. Organic coffee demand is growing worldwide but supply is decreasing, due to various factors. The first being that it is increasingly difficult to obtain organic fertalizers. Second, organic coffee production is more time-consuming, therefor making it a more costly coffee. Third, the growing of organic coffee is much slower. Sierra Nevada Coffee is said to be one of the most valuable organic coffees in the world. Only 450 families in Colombia produce this coffee that grows in an área that was not originally a coffee-producing área. Few authorized distributors have it for it is extremely difficult to access those families and obtain authorization to sell. The indigenous people of Sierra Nevada feel deeply about not harming the land and all living beings and in living naturally. They do not apply chemicals or synthetic products of any kind. As fertilizers, they use the fruits that fall to the ground of many trees such as avocado and banana trees, among other natural products. It is a way of living from ancestral times, to respect Mother Nature above all. The Sierra Nevada Organic Coffee has become a Colombian reference worldwide. As time passes, the expression "organic coffee " is becoming more and more meaningful, especially in the United States, Japan, Korea and Japan. The Sierra Nevada Organic Coffee is not only an Organic Coffee but also a Specialty Coffee, thus making it a double-special coffee. 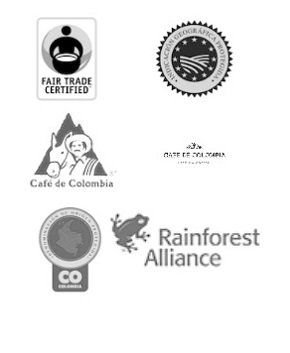 The Sierra Nevada Coffee from Colombia has obtained various certifications and accreditations, under international standards of organic agriculture; For example, the ecological seal of the Ministry of Agriculture and Rural Development, and Fairtrade certification, which guarantees the consumer that, with his purchase, he/she is contributing to the improvement of the quality of life of the producers. Sierra Nevada is one of the world's most unique regions. It is a mountain of 5,800 meters above sea level and 42km from the seashore that enjoys all thermal floors. UNESCO declared it a Biosphere Reserve and World Heritage Site in 1979. Grown under the shade of native forests, Sierra Nevada Coffee is an intense beverage with notes of hazelnut and dark chocolate. Truly a delight to the palate. Unique and exquisite. How does traditional coffee compare to organic coffee in taste? It has been proven that the taste does not really differ organic from traditional. 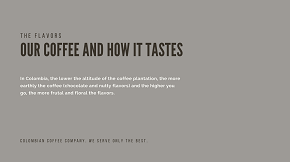 We will call “traditional coffee” the typical coffee grown in most places. The distinction is made mainly by the fertilizers used in the process of growing the coffee. The tradition coffee uses synthetic chemical to Ward of the insects and others that may harm the coffee vean. The organic coffee uses natural fertilizers, such as chick manure and coffee pulp. What is the difference between organic and non-organic coffee? Organic coffee is grown in a farm where no chemical fertilizers have been used. Organic farms look like jungles, with weeds all over and the coffee beans difficult to get at. Although organic coffee is sold at a higher price, growing orgnic coffee is 10 times harder. Most of the coffee in the world is not organic. Why would a person buy organic coffee when it is more expensive? For a couple of reasons. Mainly knowing that the coffee you are enjoying has not been treated with chemicals. It´s a question of perception, more tan anything else, for chemicals disappear when the coffee is roasted. It hasn´t been demostrated that organic coffee tastes better. But a coffee bean that has not recieved chemicals is healthier bean, which one would think, gives us a richer coffee (not necesarilyy, it´s a question of perception). Next reason on the list is knowing that the farmers have not had to handle chemicals and therefore, they and their families, have not been in contact with toxic substances to give us the cup of tea that we are enjoying. The families have not had to drink wáter infested with chemicals. Third reason is knowing where the coffee comes from. Organic coffee is grown the the forest, in the shade of the trees. The tradictional coffee is usually grown in vast áreas of lands, where the trees have been eliminated to give way to more space for the grown of the coffee beans. This hence leads to destruction of the ecosystem and the nutrients requiered for a 100% coffee bean. Do all coffee farms that are not organic, need to use synthetic (chemical) fertilizers? The higher up in the mountains, less problems with pests so healthier are the beans. How many coffees can I get out of 1 kilo of coffee? It depends on how many grams used per coffee, but we can estimate 130-140 expressos. How long does it take for a coffee seed to become fully/grown to give coffee beans? What or who is Juan Valdez? Juan Valdez is a fictional marketing icon. He is a farmer with a mule. How many types of Colombian coffee beans are there? There are two types: Arabica and Robusta. Did you know that a coffee bean does not grow twice in the same spot? How many coffee cherries are needed to make 1 pound or 450 grams of coffee? Ever wondered how many coffee cherries have to be picked to get 1 pound (450 grams) of roasted Colombian coffee? That is approximately 1,700 coffee cherries! One coffee tree can only produce 1 kilo of dry coffee per year. How long can a coffee plant produce coffee beans? A coffee plant will produce coffee beans for around 20 years before being replaced, though it can live to be 100. Where does coffee originally come from? Where does the Arabica coffee originally come from? What is the Bean Belt? All the commercial coffee in the world is grown between the Tropic of Cancer and the Tropic. This area is known as the Bean Belt. How many types of coffees are there? Nowadays there are still dozens of types of coffee in Ethiopia and just a dozen worldwide. What is a form of differentiating types of coffees? One way is by looking that the plant. Meansuring the nodes, the plant height and shape, fruit and seed appearance. What was the name of the first coffee to leave Ethiopia? Typica es the first name given to the first coffee to leave Ethipia, to Yemen, then Java then France, then to different parts of the world including Central and South America. 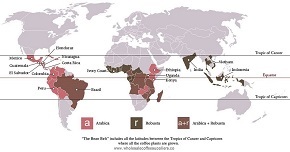 The name Typica soon took the names of the places where it was planted, including Arabica. Another group, like Typica, es the Bourboun, a bigger and busier and more productive plant. Then another variation was Bourboun es the second largest family that grew outside of Ethiopia, after Typica. From the Bourboun we get the Caturra. What is the characteristic of the Bourboun? You are a "Café de Colombia". What is that? What ports of Colombia do you ship your coffee from? What coffees do you, as wholesale coffee suppliers, specialize in? Where is your wholesale coffee supplying company from? What certificates does your wholesale coffee have? What is the minimum purchase quantity to buy your coffee wholesale? As Colombian wholesale coffee suppliers, what do you use to preserve green coffee beans fresh for longer periods of time?